"Every time I open my Chromebook and see that an update is available, I get a twinge of excitement. 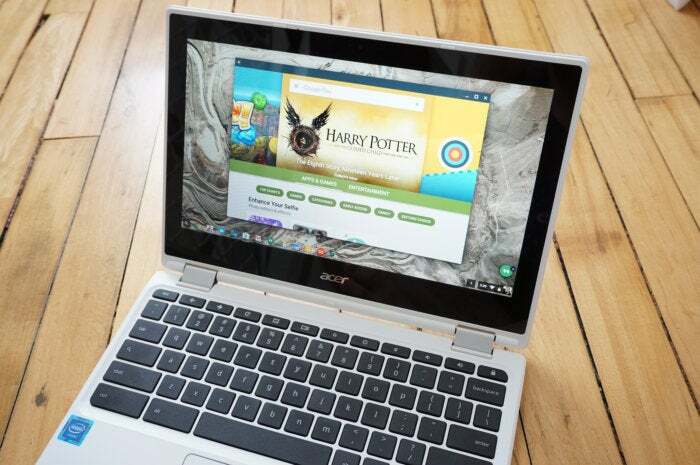 Is this the moment that my Acer Chromebook will finally get Android apps? So far, the answer has always been no, and it doesn’t look like that will change anytime soon. Samsung’s new Chromebook Pro starts shipping on Sunday, but Android apps will remain in beta at least through the summer, as reported last week by The Verge. Google didn’t have much to say about the state of Android on Chrome OS during last week’s annual Google I/O conference. But the company did run a dedicated I/O session aimed at teaching developers how to target their apps for Chromebooks and larger screen devices, as first spotted by Thurrott.com. The big takeaway from that session is that Google is grappling with the same issues we’ve been hearing about for months. At the opening of the session, Google even showed some of its own apps, including Google Maps and Hangouts, that aren’t yet tuned for large screen devices. Basically, the big issues that Android apps need to deal with during the migration to Chromebooks are support for wider screens; including a landscape mode in addition to portrait; allowing for adjusting an app’s window size; and tweaking input approaches to suit a laptop with a keyboard and mouse."